The locals are feeling restless. Bukchon has a reputation as a bucolic, quiet area of Seoul. Its narrow streets and alleys are filled with pretty little Korean-style houses, turning the hillside into a sea of tile roofs. It’s exactly the kind of scenery many tourists are looking for when the visit Seoul, an area of calm and tradition amidst the glittering and modern buzz of the metropolis. The mood of the local landlords and residents isn’t nearly as charmed, though. The term “overtourism” was coined in Europe only in 2016, but Bukchon residents are already familiar with the concept. Over the past few years, tourism has increased from a trickle to a flood of visitors, both domestic and international. On an average day, tour buses disengorge thousands of people to walk through the Hanok-lined streets, taking photos and enjoying the views from the hillside. 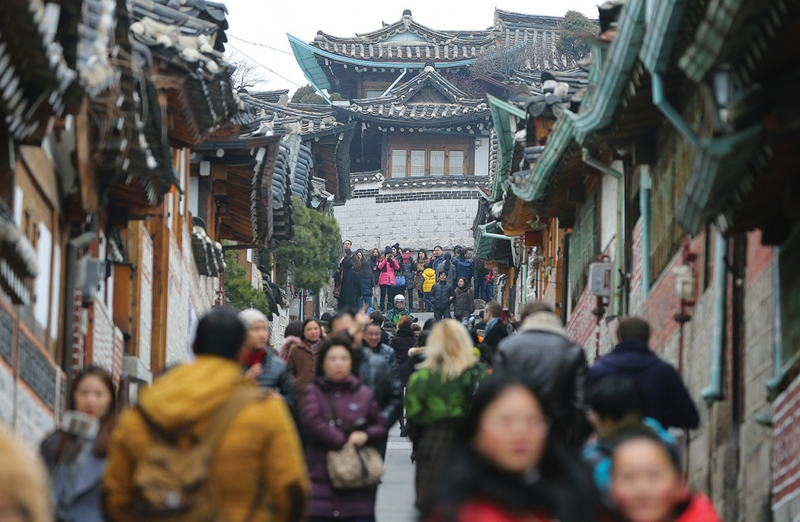 A study by Seoul Metropolitan Government conducted between October 2016 and June 2017 revealed that an average of 10,000 tourists visit Bukchon a day, 70 percent of them foreigners, 10 percent visiting before 6 a.m. The massive inflow of visitors has turned the neighborhood into less of a quaint village than a bustling tourist trap, complete with vendors selling cheap knicknacks, overflowing trash piles and loud chatter in a dozen languages. While some people are happy to see the tourists, others worry about the noise, trash and impact on local infrastructure. Some are so worried, in fact, that they are leaving entirely. According to the city, the population of Bukchon fell over 16 percent between 2012 and 2017. Overtourism is a growing problem in many parts of the world, as more and more people reach income levels that make international travel possible, at the same time that other markers of middle-class life become more difficult to achieve. Younger people in developed countries like the U.S. and Australia often feel unable to invest in things like real estate, and instead have shifted their spending to more achievable experiences, like travel. And in other parts of the world, newly developing wealth in the middle classes makes international travel a new status marker, something previously only available to the wealthy in places like India and China. As more travelers arrive, so does the need for places to stay, restaurants for them to eat in, and myriad other infrastructure issues that often overwhelm what is already in place. Some measures meant to help alleviate problems end up making them even worse — “sharing economy” home rentals started as a way for local people to earn money by renting out spare rooms to visitors, but have ended up contributing to rising rents in residential areas, pricing people out of homes in places from Seattle to Casablanca. The problem is international in scope, with one of the most famous cases literally sinking under the weight of boatloads of tourists. 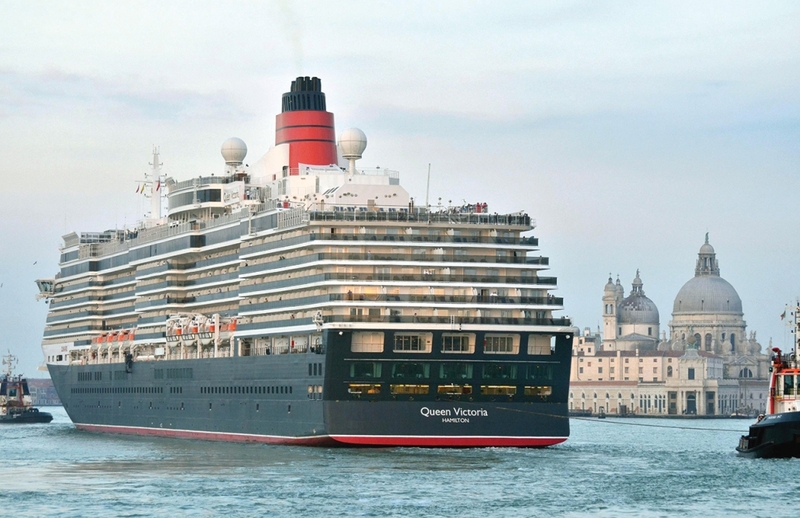 Venice in particular has been hard hit by huge increases in international travel, much of it via cruise ships. These gigantic floating cities have become a major headache for Venetians, who complain that the cruise ships gobble up local resources, pollute the waters and contribute to the city’s slow sink into the lagoon in which it sits. Compounding the problem, most of the cruise ships don’t contribute much to the local economy, as the tourists they bring disembark for day tours run by the cruise lines, depriving local guides of work, keeping their tourist dollars on the ship instead of circulating in the local economy. 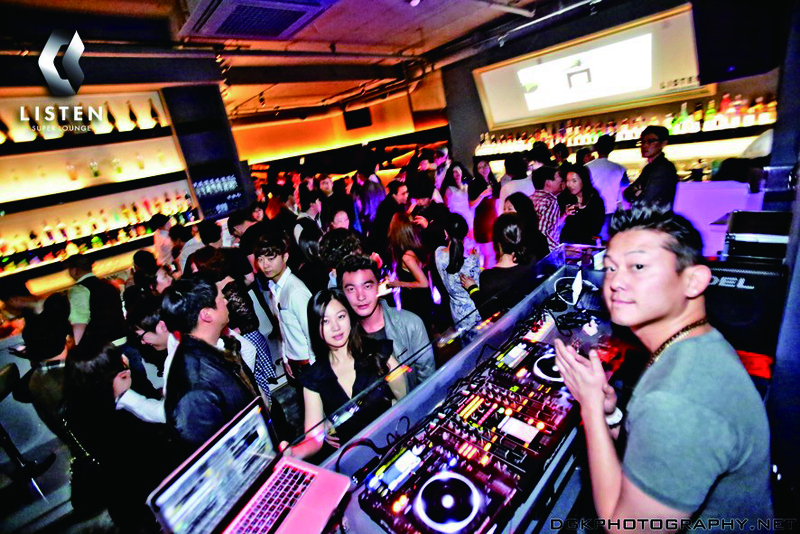 Tour groups in Korea have been blamed for much the same behavior. Coach tours take visitors all around Seoul and the rest of the country, disgorge people for a very brief visit to a tourist site or shopping, and then rush off to the next spot. 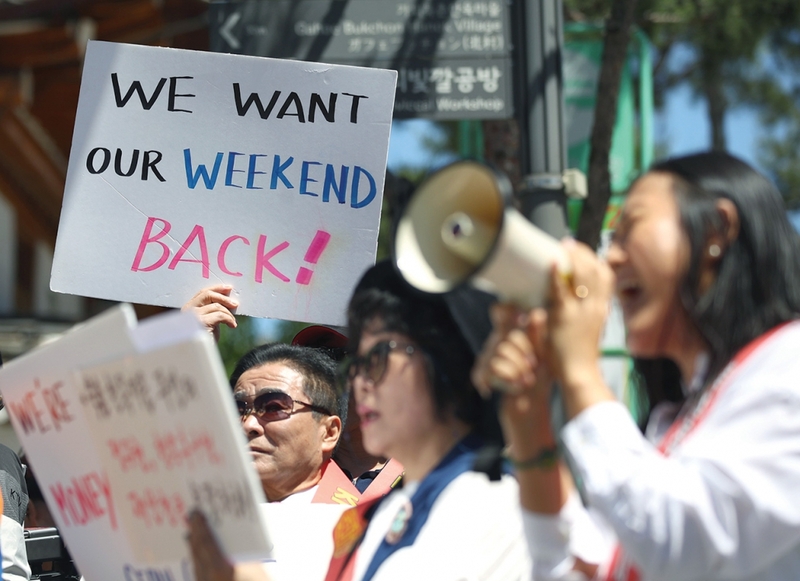 “Travel agencies attract Chinese tour groups through cheap ‘dumping tactics,’ taking them to the duty-free shop to make up for the losses and then setting the tourists loose the last day in Bukchon Village, which doesn’t cost anything,” said Korea Tourist Guide Association Secretary General Kim Gang-yeol to the Hankyoreh daily. Tourism, even overtourism, isn’t thought of as a problem by everyone in Bukchon. Rents have gone up substantially, and more tourism development would likely increase profits further. And as some residents depart for quieter pastures, there’s more space available for businesses. Still, the more people who come to enjoy, the less some residents feel welcome in their own homes. Multilingual signs are posted throughout the area, asking visitors to remember that it is a residential area, with reminders to not litter or smoke, and keep voices down. Some even have request that people avoid singing loudly, an oddly specific complaint, but one the locals insist is a real problem. But the area most plagued by overtourism isn’t necessarily in Seoul at all. Jeju Island, once a mostly rural area of fishing villages and citrus farming, was once barely touched by any tourism except local honeymooners. Before the liberalization of travel for the average Korean, people who couldn’t leave the country would head instead to the semitropical southernmost island. 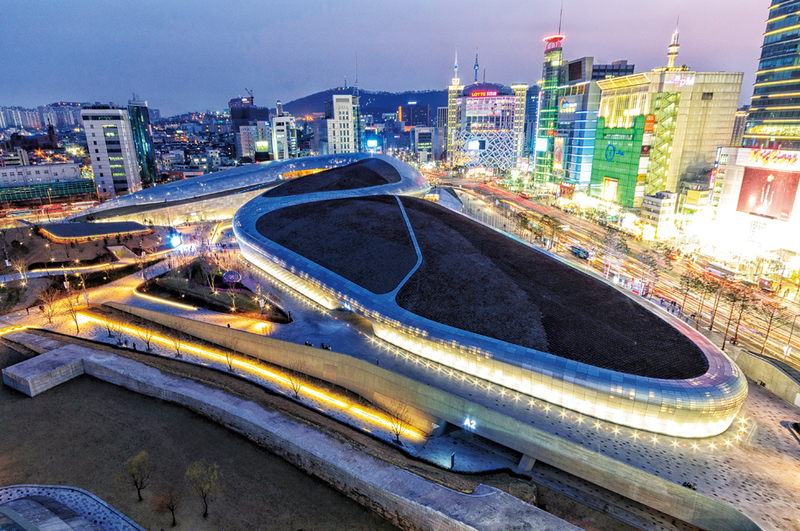 But the beginnings of international travel for Koreans didn’t mean the island fell off the tourist path — instead, it’s become one of the most heavily visited parts of Korea. 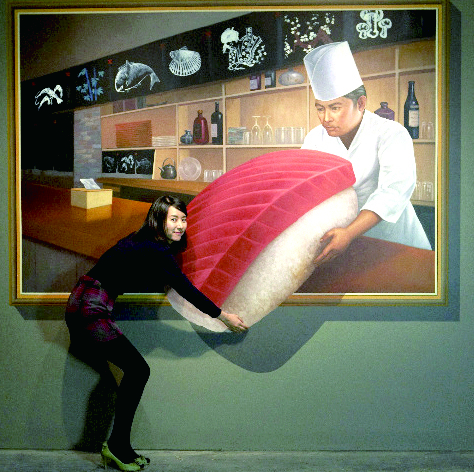 It’s not just domestic travel, although many Koreans favor it for short trips. Instead, it’s been turned into a visa-free zone where international tourists from 180 different countries can enter by any of the 150,000 some-odd flights per year. Sixteen countries now have direct flights to the island, bypassing Incheon International Airport. For those who do arrive via Incheon, they travel what is now the world’s most heavily trafficked air route, the short 450 kilometer hop traveled by more than 10 million people each year. 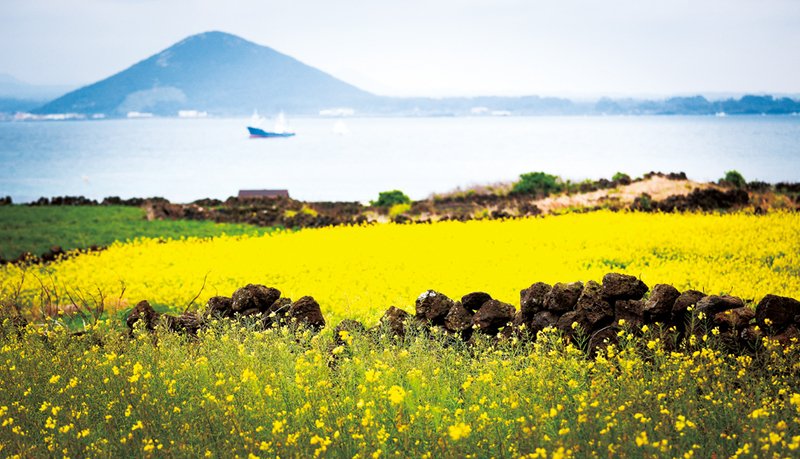 Jeju’s attractions go beyond the ease of coming from abroad, with a unique volcanic landscape, attractive beaches and mild weather. Many international visitors, especially from China, do more than visit though. There’s been a huge uptick in people from abroad buying up land on the island, driving up prices and making it difficult for locals to keep up. Thousands of tourists can show up at the same time to visit some of the country’s most environmentally delicate areas. 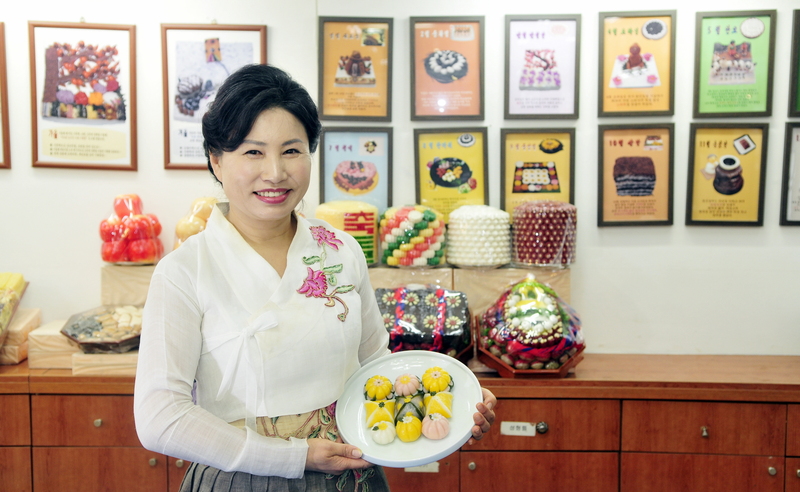 Tour groups from China in particular have come under fire, with many Koreans feeling that the tour guides do little to help guests understand the local culture and customs in favor of making maximum profits via what amount to extended shopping visits. Conflicts have become regular features on local and even national news, contributing to anti-foreigner sentiments. 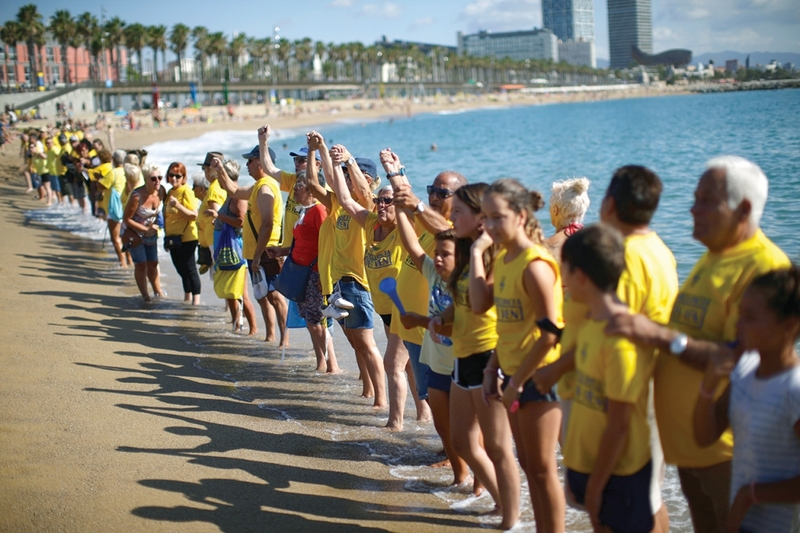 There is no easy solution to overtourism. 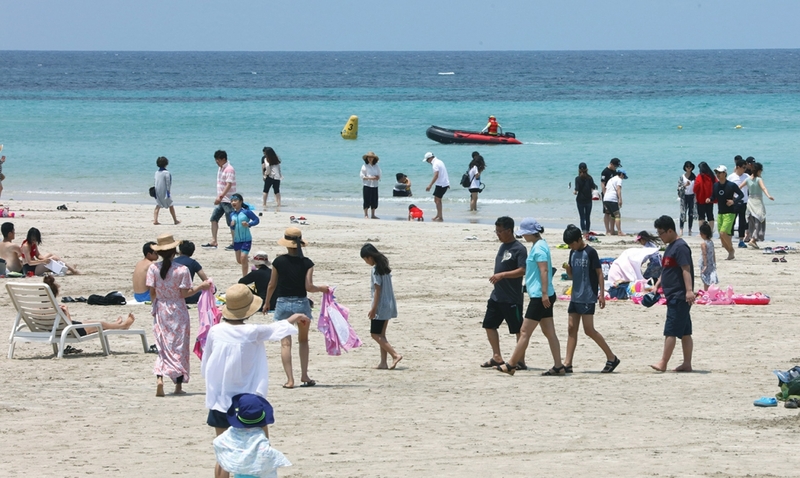 Seoul, Jeju and other places are working on ways to help locals thrive alongside visitors and help tourist engage in more positive, culturally enriching encounters, while also improving infrastructure to help local areas deal with the influx. But solutions may be a long way off, and it could take years to bring enough resources in to help areas like Bukchon and Jeju cope with the huge numbers of tourists. Until then, the signs will stay up and the tensions remain as the coach tours continue to arrive. 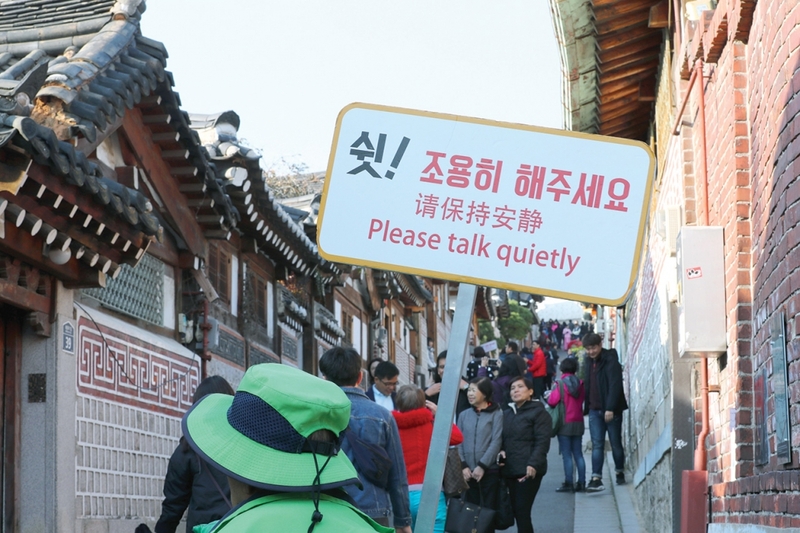 Though some aspects of the Bukchon tourism issue will need to be solved at the public policy level, there are some things tourists can do themselves to lessen their impact on locals. The city has limited tourism hours in the Bukchon-ro 11-gil area to 10 a.m. to 5 p.m., Monday to Saturday. Tourists should stay away on Sunday, which has been designated an “alleyway rest day.” Granted, these designations lack enforcement mechanisms, and according to at least one local report, few seem to be following them, but still, that’s the policy, and it’s best to follow it. Keep your voice down and respect the locals’ privacy. That means don’t enter people’s homes without permission, don’t use your selfie stick to photograph inside people’s homes and don’t photograph people without their permission. Don’t loiter in front of the gates of homes, either. In fact, if you’re in a large group, don’t loiter on the sidewalk — this annoys locals to no end. When you can, shop and dine at local establishments. Group tours not only pass such places up, but even drive away the locals and individuals tourists on whom such establishments depend. Don’t smoke. Not only is this a fire hazard in a historical preservation zone full of old wooden buildings, but the smell of the smoke gets into people’s homes, too. How about giving an alternative destination a try? 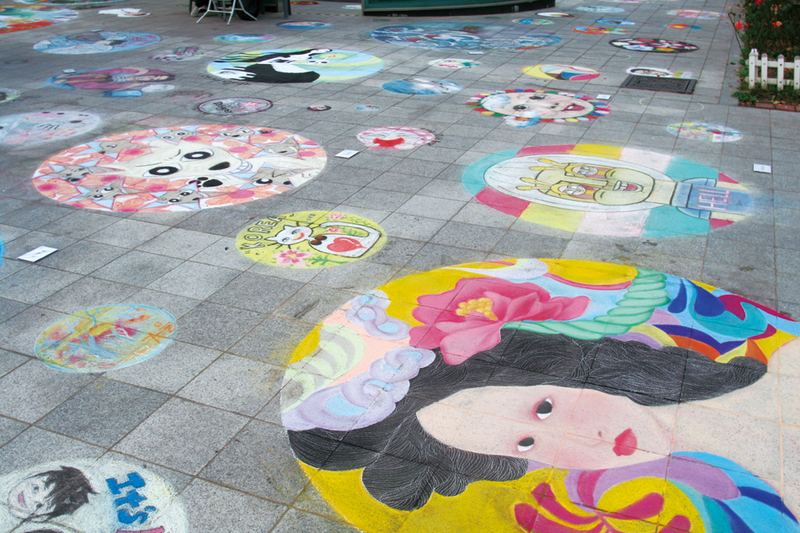 Seoul’s a big city with plenty of interesting neighborhoods. 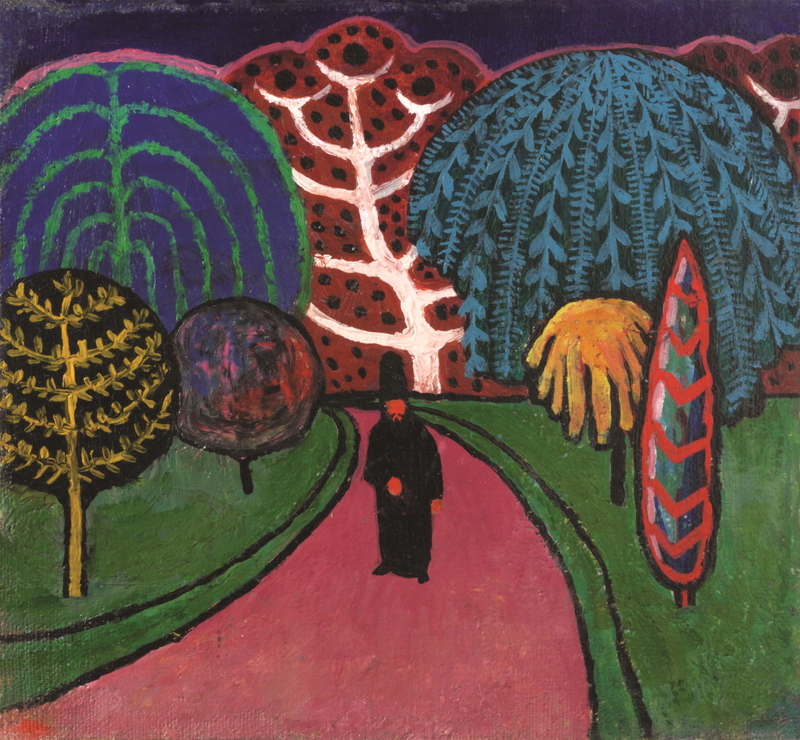 Why not check out one to which you’ve never been?